User-level functions are available by default to all users – if you only have user-level access, these are all the tools you will normally see, and you will only ever be able to apply these tools to your own account. Administrators can also use these tools, but can choose to select any user to use these tools on. As well as having more choices about who to apply a certain tool to, administrators also get extra tools in this section. 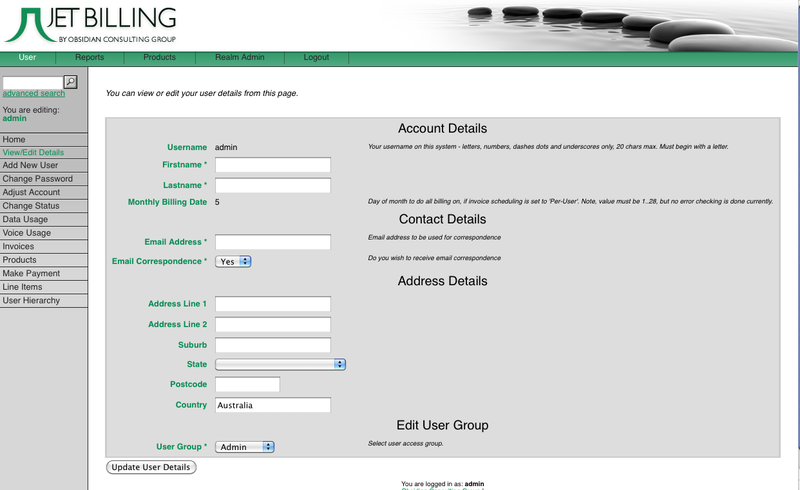 For example a user can use the View/Edit Details tool to change their own billing address. An administrator can select any user and then use the View/Edit Details tool to change their billing address. Figure 28: The view/edit user details tool.